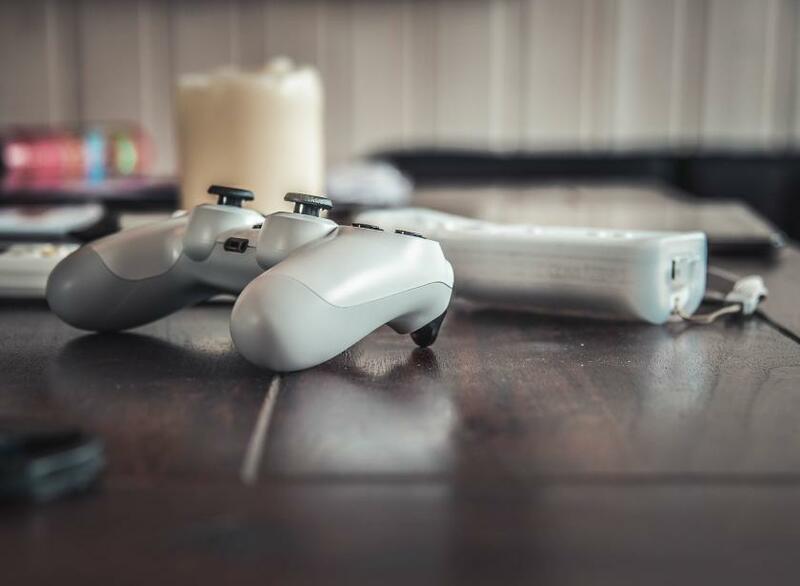 Though video games are often thought to provide only brain-numbing violence and mindless entertainment, there's been growing evidence people can benefit from playing them — especially seniors. Tests have shown certain types of video games can improve older adults’ memory, ability to multitask, and reaction time. In fact, some research has even shown video games could improve the cognitive ability of older adults so much that the brain’s level of function is on par with that of someone in their 20s. How is this possible when gaming is so often considered a lazy person’s hobby? In a 2013 article written in the journal Nature , researchers describe a study in which participants aged 60 to 85 were asked to play a video game called Neuroracer . After playing the game for one hour a day, three times a week, for one month — totaling 12 hours. The game was designed with Alzheimer’s patients in mind, and aimed to help them fight the effects of of the disease. The game requires players to drive a car down a winding road, while at the same time pushing a button whenever they see a sign appear. Once they complete this task, they’re awarded points, and then they move on to the next level. At the end of the month, tests showed those who were required to both drive and look for the signs were better at multitasking than those who only drove or only looked for the sign. Moreover, participants who were best at navigating the winding road and pushing the button whenever they saw the sign scored better than 20-year-olds who played the game only once. Notably, these participants were also better able recall pieces of information stored in their short-term memory, like names, dates, times, and phone numbers. Not only was this a surprise result, but participants remained this way for at least 6 months after the study. In another study involving older adults aged 60 to 77, researchers looked at the effects of playing World of Warcraft ( WoW ), the world’s most popular game, on the aging mind. The game was chosen because it’s highly engaging, and requires players to process spatial information as well as practice attentional control. Participants first underwent tests to assess their gaming skills, motor skills, reaction time, and overall cognitive ability, and then played the game for two hours each night for two weeks. They became accustomed to the game by playing through training levels. After the two-week gaming period, the group was tested again, and results showed those who initially scored the lowest on the pretest improved the most in scores of spatial ability and cognitive focus — some even surpassed those who had scored well. Those who scored well on the first test also showed improvement, but not to the same level. The researchers concluded games like World of Warcraft could enhance neural plasticity in older adults. Experts say many different types of games are perfect fit for seniors. Neuroracer , WoW , and War Thunder (a flying game) are some examples of games that have been proven to improve several cognitive functions in seniors — despite not always being easy to use or having large enough text for seniors to read. Beyond gaming consoles, there are many downloadable games for smartphones and tablets, devices that not only make reading text easier but also reduce the trouble of holding a controller for a long period. Despite the encouraging results from the aforementioned studies, researchers are still searching for conclusive evidence that gaming can actually slow the aging of the brain, or even reverse it altogether. This is because even though participants exhibit improvement, it’s unclear whether these benefits extend into everyday life. There is no doubt gaming has a positive effect on seniors — after all, these studies have shown gaming can increase the volume of certain areas in the brain — but only further research will show if it’s enough to prevent the onset of dementia, Alzheimer’s, and other age-related brain diseases. Trisha is a freelance writer from Boise, Idaho. She is a dedicated vegan who promotes an all around healthy lifestyle. You can find her on Twitter (@ThatDangVegan) and check out her blog ThatDangVegan.com .